Protect your camera body from dust and scratches; Internal soft layer protects Fujifilm instax mini 8 camera and camera lens from dust and scratches. It is good for your instant mini photos and makes the good place to start your collection. 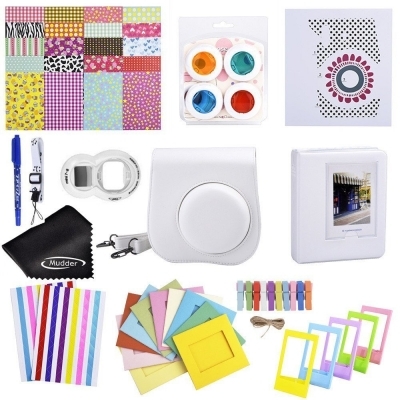 Included: 10 pieces colorful wall decor hanging frame; 10 pieces clips; 1 piece string. Can use this border stickers to stick you photos on wall, big album, desk and other place. 204 chips can stick 51 photos. This cute strap can adjust from 19 inches to 36 inches long, and good length makes it easy to take photos.